Rocky Ferrenburg grew up in Anchorage, Alaska, and moved to the Magic Valley in 2007. He is an accomplished musician, a published writer, and a proud Eagle Scout of Troop 232. As both a father of two wonderful girls and a husband to the most amazing woman, Rocky believes that family is key to a happy life, and that values are best demonstrated through actions. Rocky graduated from North Anchorage Christian Academy and later from College of Southern Idaho. He is currently attending Washington State University’s Global Campus. As a blue-collar worker, Rocky has been driving for local companies since he first received his CDL. During this time, he has worked his way through school, all the while providing for his family and giving back to his community. Rocky spent most of his high school days climbing the ranks of a fast food restaurant, eventually managing a night crew, and then assisted in the management of the day crew. While there, he learned basic skills such as customer service, inventory, and business budgeting. After graduation, Rocky moved on to working remotely as a caterer where he spent long hours preparing food and menus for mine and oil field workers. Rocky was one of the first students to graduate from the SAGE Truck Driving School in Burley, Idaho, and he was accepted into College of Southern Idaho the next semester. During this time, he took on such tasks as developing independent study courses, and he even worked closely with the Honors program to construct the first distance-based Honors program at CSI. Rocky and two of his peers created and maintained, in accordance with CSI staff, a social Facebook group: CSI Society. Rocky Graduated with five Associates of Arts degrees including criminal justice and political science. Today, he is enrolled in two programs at WSU: Psychology and Political Science/Economics. Throughout his college career, Rocky has demonstrated the ability to handle a full load, be creative, and excel above the standards assigned to him. Rocky has been concerned with issues facing Twin Falls for quite some time. Some of these issues are education, substance abuse, and state sovereignty. As Rocky has watched his two daughters grow, he has become increasingly aware of challenges facing our community and state. His oldest daughter is currently relying on the quality of our public education, and he is concerned with the national rankings of Idaho’s education system. Rocky is a recovering addict who has been clean for more than six years. He has not only studied the criminal justice system, but also spent time within the system. He has been a community role model for those in recovery, and he still strives to make a difference in the way people see individuals with substance abuse issues. Rocky is eager to cut the cord with the Federal Government in order to maintain the state’s sovereignty. 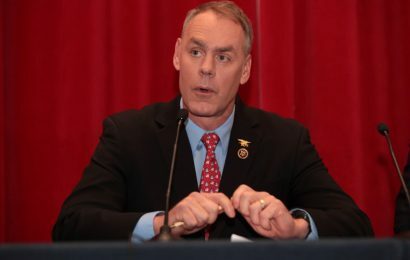 He believes that Idahoans are much better equipped to take care of Idaho. Rocky has spent a great deal of time giving back to his community. He played guitar for a local band that was centrally focused on playing benefits, feeding the homeless on Thanksgiving, and sponsoring families in the Magic Valley for Christmas. 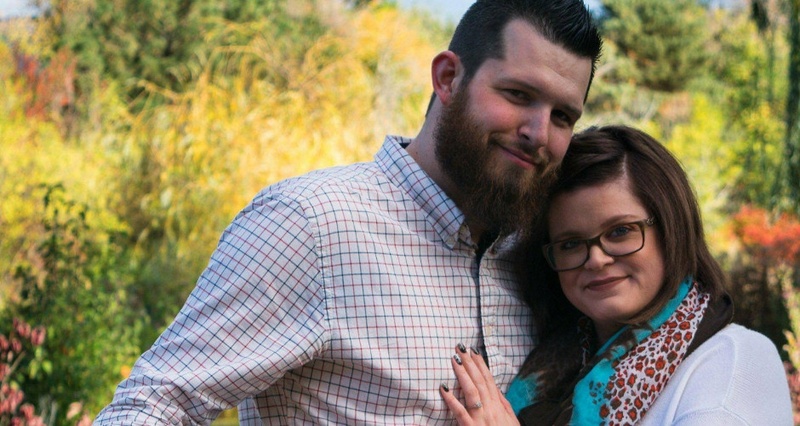 He has donated several wedding and DJ packages to fundraisers from his company, Southern Idaho Event Services, and has hosted such benefits himself. Rocky has contributed to community food banks, served food, and given toys to local needy children. Whenever Rocky has the opportunity and means to help someone in need, he jumps at the opportunity. Rocky has dedicated his life to being a role model for those around him, and he is constantly striving to learn how to become a better man so that we, together, can better the communities in which we live. Where does Rocky stand on issues facing Idaho? Rocky is a strong advocate of responsibility and accountability. He stands for personal liberty and economic freedom. Rocky stands with the Constitution, and believes that all of our politicians should be held to its standard. No other system than that of the great American experiment has provided more wealth, prosperity, and opportunity for more people. Here are some positions on issues that Rocky has. Rocky believes the education of our future generations should not be controlled by the Federal Government, but should instead be cultivated at a local level. Rocky believes in the freedom of school choice, and I am a strong advocate for private education. Rocky opposes common core. Rocky believes proper rehabilitation and reintegration for offenders is vital to our community. Many of our fellow citizens suffer from drug addiction, mental health issues, or emotional tragedies. It is important to help them and reintegrate them back into our communities safely. Rocky supports alternative sentencing for victimless offenders. Rocky is a committed advocate for states’ rights. Individuals should have control over their local governments without the overarching and unneeded influence of the Federal Government. Rocky wants to cut the strings the Federal Government has attached to us with its funding and make Idaho more self-supporting. Idaho is a family, and it is a common value among Idahoans to protect their families first and foremost. This has been an important value in Rocky’s house from childhood through today. Rocky believes in economic freedom and open markets with minimal barriers to entry. Rocky believe state licensure mandates and regulations on businesses and entrepreneurs are more of a hindrance than a help. Businesses should have the right to prosper just as they should have the right to fail. Rocky supports minimal taxes and a simple tax system. Taxation beyond the Constitution is theft, as well as waste, fraud, and abuse by either citizens or government. Rocky believes everyone has the right to do what they please, as long as their actions do not infringe on the rights of other people. Rocky believes government has no place in personal rights beyond protecting them for the individual. Rocky supports the freedom of religion, the right to private property, the Second Amendment, and marriage. Rocky does not believe in or support abortion. Rocky believes in a free market system for healthcare. Rocky advocates for the abolition of state or government interference in Idahoans’ choices for protecting themselves and their families. Please remember that elections are won at the primary level. 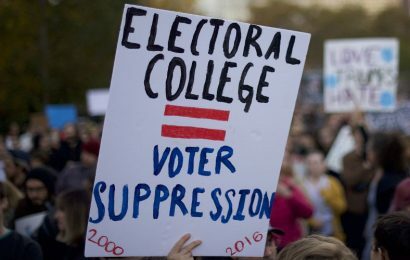 If you wait until the general, then you have already lost your vote. It is important to learn about the candidates in depth. These are the people that decide the laws that govern our lives. State legislators affect us on a daily basis far more than those at the national level. So please get out to your polling station. You can learn more about Rocky by visiting his website at RockyFerrenburg.com. 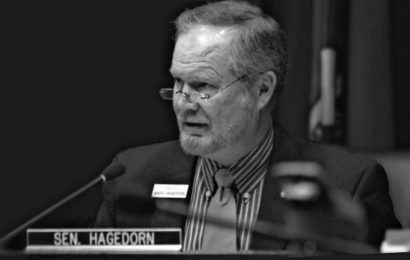 Senator Hagedorn Knows Best about Article V Convention?